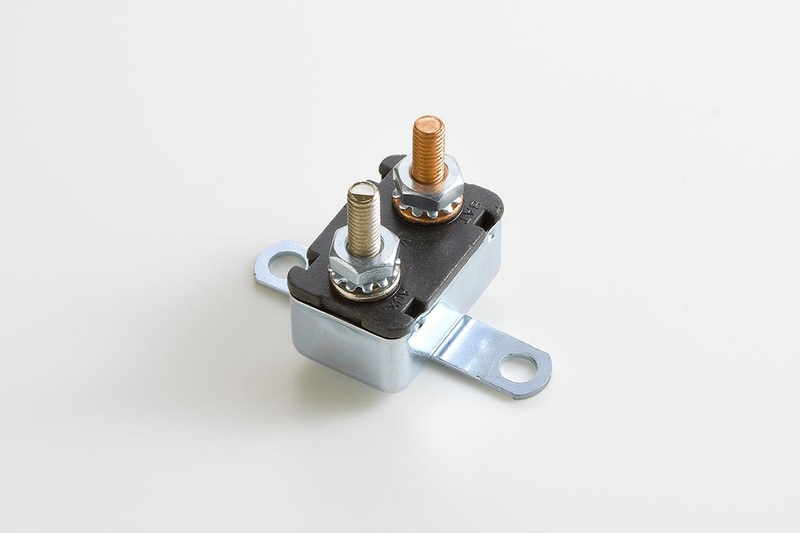 MOCB24-H-50A AUTOMOTIVE CIRCUIT BREAKER TYPE II - MODIFIED RESET - 24VDC METAL BODY- HORIZ. BRACKET TWO 10-32 STUDS - 0.66 / 0.56 IN. Orders over $50 qualify for a free gift. Fill your cart and claim yours. Orders over $50 qualify for a free gift. AUTOMOTIVE CIRCUIT BREAKER TYPE II - MODIFIED RESET - 24VDC METAL BODY- HORIZ. BRACKET TWO 10-32 STUDS - 0.66 / 0.56 IN.